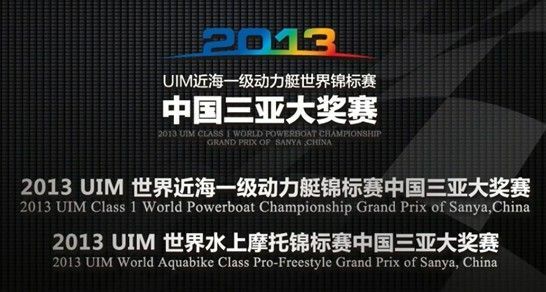 2013 UIM Class1 World Powerboat Championship is to be held in Sanya Bay on Mar.27. Sanya is to hold the first China (Sanya) UIM CLASS1. The first 2013 China UIM Class 1 World Offshore Powerboat Championship (CLASS1) will be hosted in Sanya from March 27 to 30, 2013. 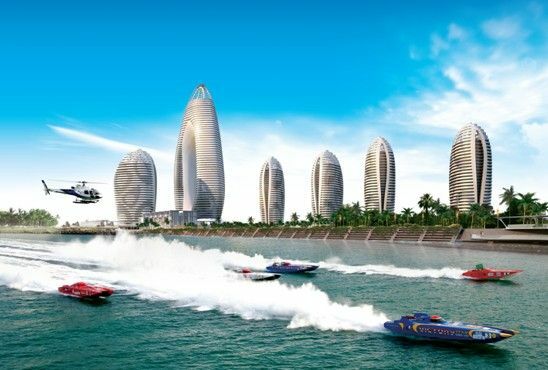 The event, which takes place in Sanya Bay, will see a total of 22 racers from 10 teams and more than 10 countries including the United States, Britain, Italy, Dubai, Norway, and the United Arab Emirates to compete with each other. A powerboat named ‘Sanya Visun’ will make its debut in the race this year. CLASS 1 is widely regarded as a world class sporting event, and has been held in more than 20 countries and regions including the United States, Britain, France, Italy, Russia, Greece, Spain, Portugal, Norway, Finland, Switzerland, Brazil and Qatar. And each contest will be beamed around the world by the global satellite system of American International Group.